used in the revolution of 1817, and a 200 sq. km. area of protected forest. - an environment where there are new discoveries around every corner. 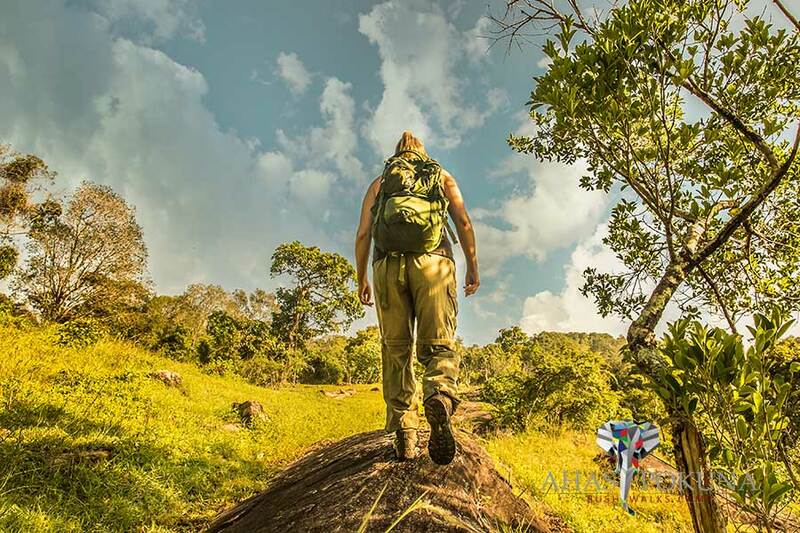 During our world-famous bushwalks, you will be guided by professional naturalists and expert Bushmen who have lived in this forested area for several generations. 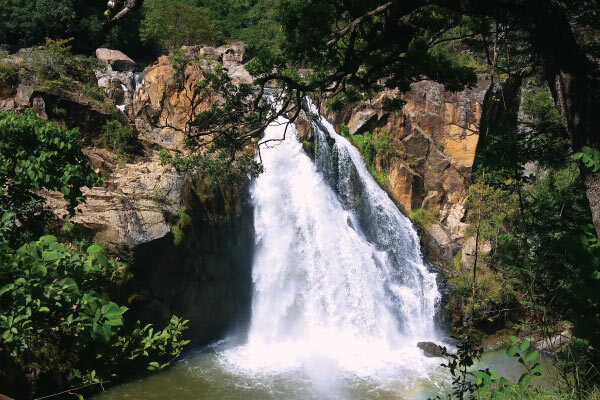 Enjoy Sri Lanka's famous warmth and hospitality at its finest and make your dream of living in the wilderness a reality. 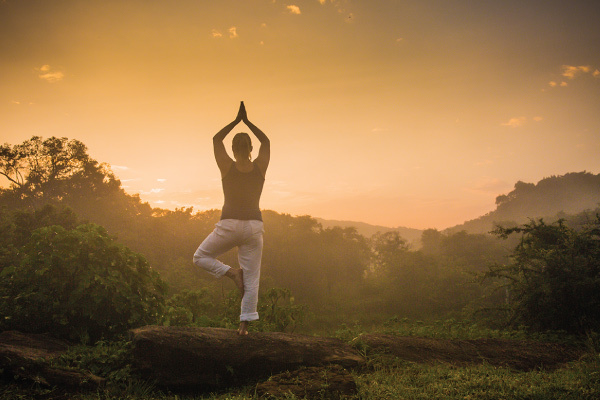 Private Bushwalks, Yoga, Meditation, Ayurvedic Massage Therapy, Culinary Classes, Udawalawe National Park Safaris, Exploring Prehistoric Human Settlements and a Forgotten Kingdom… is simply a beginning to your story at Ahaspokuna. Immerse your senses in a mosaic of habitats with wide grasslands hiding an eclectic variety of plants and herbs – some of which have medicinal value, cave systems used by elephants that go there for salt, streams, hidden waterfalls… and, amongst a plethora of mammals and birds, you discover the true meaning of co-existence. All this quintessentially makes Ahaspokuna what it is – a magical experience. We are offering you an exclusive, private, bushwalk and wilderness living experience that has not been offered in Sri Lanka before. Our rates include all meals, accommodation, tea & coffee, drinks, as well as all walks and activities. We will meet you at a pre-designated point and take you to your new home in the wild through a welcome trek which will take approximately 20 minutes. We offer you probably the largest private space of 1000 sqm that any camp, lodge, hotel or any other accommodation could offer you in Sri Lanka. There are plenty of spaces within our boundaries for you to read, relax, meditate, or do yoga. Your accommodation unit (private space) would consist of your arrival deck, sleeping tent, luggage and powder lounge, flushable toilet and an indoor shower that has hot and cold water, a romantic star bed/day bed for you to relax or sleep in during the day or night, and the first-ever bush bathtub in Sri Lanka that overlooks the grassland in the 1000 sqm of private space protected by an elephant fence. We offer a bathtub connected to hot and cold water that overlooks the grassland with every accommodation unit. You are invited to use it at any time of the day for a completely refreshing experience. Whether it’s a short soft trail, a half-day moderate trail, or an adventurous full-day trail, Ahaspokuna has it all. Under professional care, walking in the bush is safe. All walks will be guided by a professional naturalist and experienced bushmen who have lived in this area before. the history of Sri Lanka itself and it has indeed been an eventful past. and its people against foreign invaders. the 1818 Uva revolt by the key hill country leaders etc. Fall in love with trekking! From our Frequently Asked Questions . 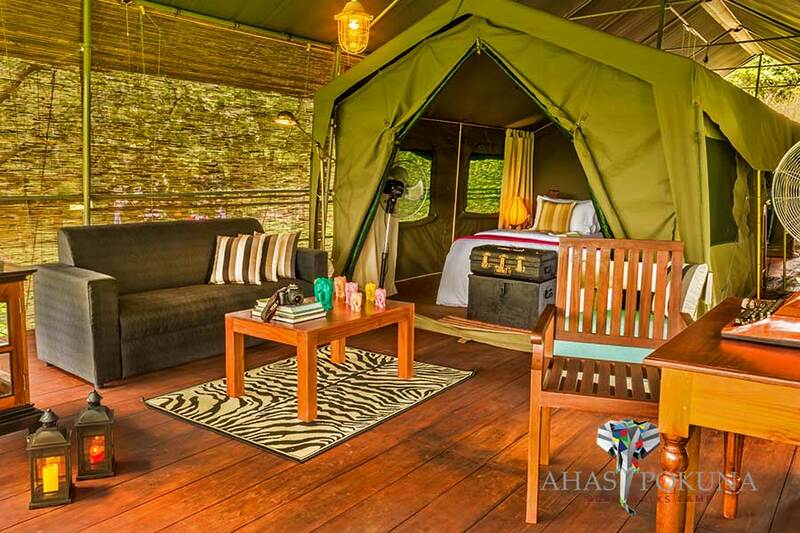 . .
Is Ahasokuna different to any other safari camp concept in Sri Lanka? When it comes to ambiance, service, and how the day's activities go by, there are a lot of similarities between Ahaspokuna Bush Walks Camp and a high-end safari camp concept. However, the main difference is with how we do safaris. In any other safari camp in Sri Lanka, you would be getting into a safari jeep and would do morning or evening safaris depending on the number of days you stay; but with us, your safaris are walking safaris. 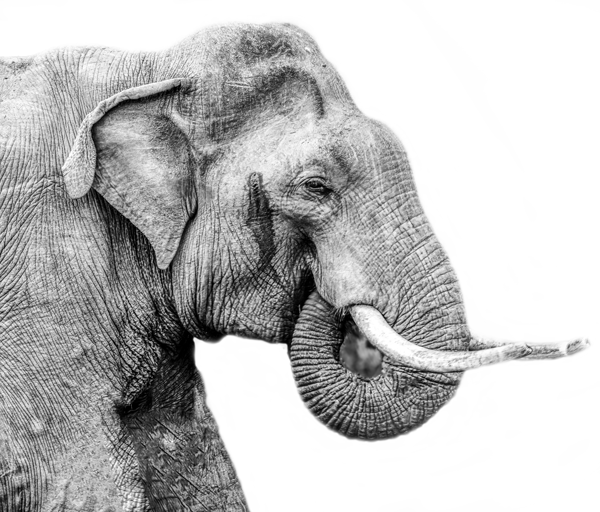 However, though 75% of our clients have seen even elephants on our walks, we do not call our walks "Walking Safaris"; to manage expectations. We call them "Bush Walks". Is it possible to do a safari to a national park from Ahaspokuna? Yes, it's possible. 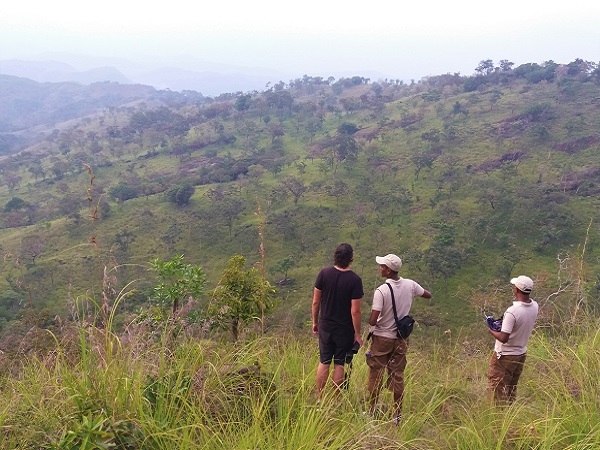 If we measure direct, as the crow flies, Udawalawe National Park is located just about 15km away and it takes only about one hour and forty five minutes to get to it's entrance. Hence, it's very possible to do a safari in the Udawalawe National Park. We recommend a morning safari, leaving the camp early morning, where you can get back to the camp for lunch, finishing a safari around 11 a.m.
Don’t go into the long grass!